This was weekends and weeknights for me since mid-January. 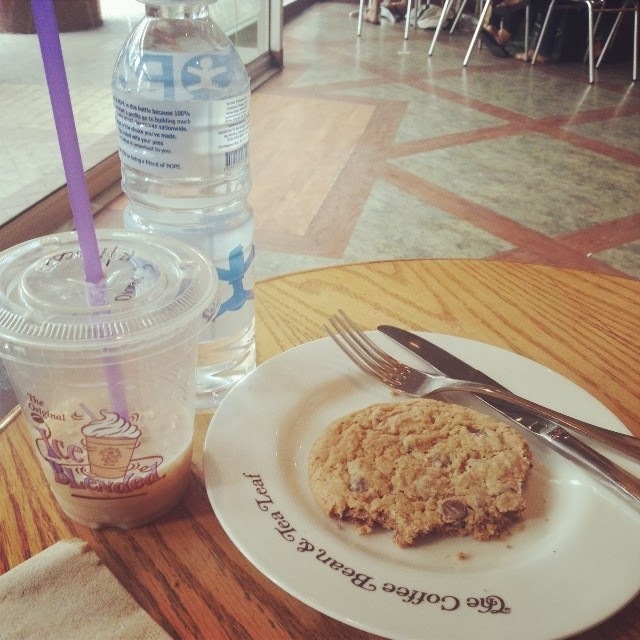 I've been meeting different clients at Coffee Bean and Tea Leaf. I've been consuming frappuccinos, cookies and cakes. As much as I don't want to complain, I already feel saturated with all the coffee shop food in my system. The overflowing sweetness gave me this sore throat. Having been confined to the airconditioned shop with the number of people around, gave me threats of colds and flu. As I'm typing this post, I'm feeling an upcoming fever as soon as I hit bed. Seriously, I always welcome the additional work. At the end of the day, I hope to enjoy and savor the benefits of all these sacrifices. Apir! Same here. But I always make it a point to unwind every once in a while: blog, watch my favorite TV series, or go out with my family. Or look at Balenciaga bags for sale on Ebay. Hehe.